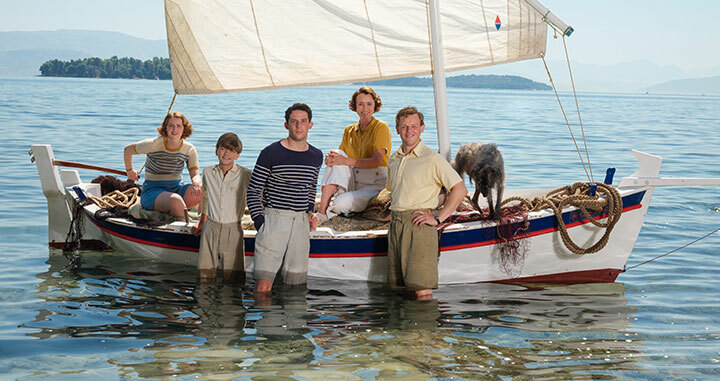 For four years, The Durrells has provided entertainment, drama and plenty of laughs as it follows the titular British family living in Corfu in the 1930s. In this DQTV interview, creator and writer Simon Nye talks about making the ITV series, which is based on Gerald Durrell’s autobiographical books. He discusses his journey through television, starting with BBC sitcom Men Behaving Badly, and why he now enjoys writing drama. Nye also talks about his writing process – and explains why some episodes will have up to 10 drafts. The Durrells is produced by Sid Gentle Films for ITV and Masterpiece in the US, and distributed by BBC Studios. Katherine Kelly and Molly Windsor star in a ‘cat and cat’ struggle triggered when a lecturer suspects a student of cheating. The actors, director Louise Hooper and writer Gaby Hull reveal how they keep viewers on edge in this four-part thriller. 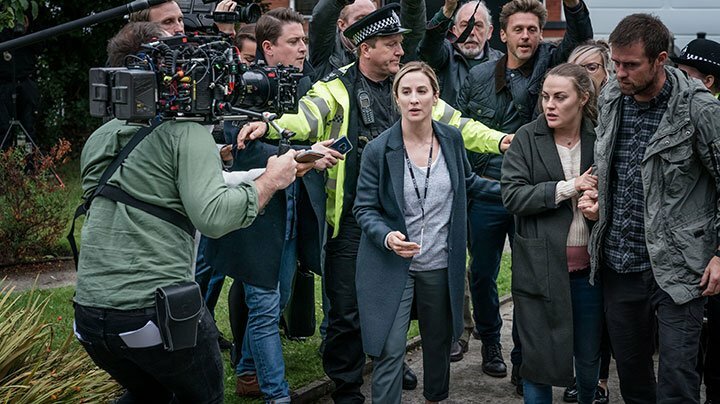 In the opening scenes of ITV’s new thriller Cheat, sociology lecturer Dr Leah Dale (Katherine Kelly) is giving a definition of power, power dynamics and coercion from the pre-eminent philosopher Bertrand Russell. Apart from setting up one of the central themes of the ensuing drama, it remains one of the only things that is definitive in the rest of the episode. Cheat twists and turns and jumps around in time from the opening minute and doesn’t ever really allow the audience to settle. Light relief and levity is in short supply, and when it does come, it is quickly supplanted by more tension. Ostensibly, the four-part series is about an open-and-shut case of academic deception. 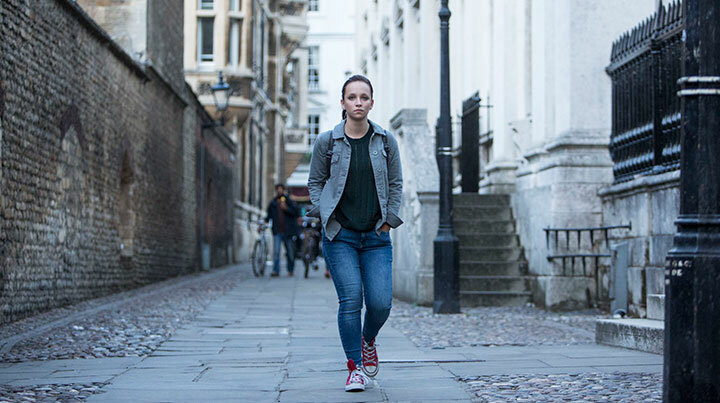 Average university student Rose Vaughan, played by Three Girls’ Bafta-winning star Molly Windsor, pops up with a first-class dissertation, setting off alarm bells in the head of academic integrity advocate Leah. While department head Harriet (Neve McIntosh) is won over by Rose’s charm and plea of innocence, Leah is spurred on to expose her as a cheat, setting off a malevolent competition for supremacy between the pair. 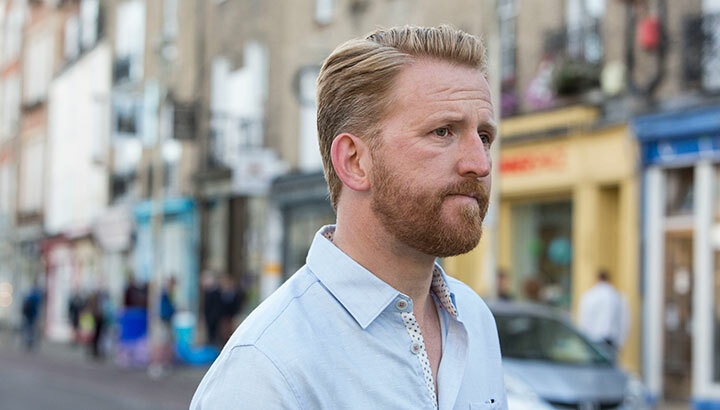 Meanwhile, Leah seems to be caught in a loveless marriage with her academic husband Adam (Tom Goodman-Hill) who is desperate for a baby and has also been won over by Rose. 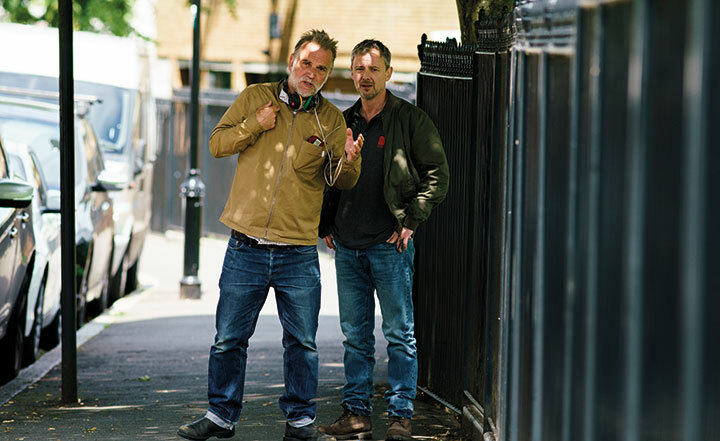 It comes as no surprise that Cheat is the product of fraternal writing and producing duo Jack and Harry Williams and their prodco Two Brothers Pictures, with distribution handled by All3Media International. 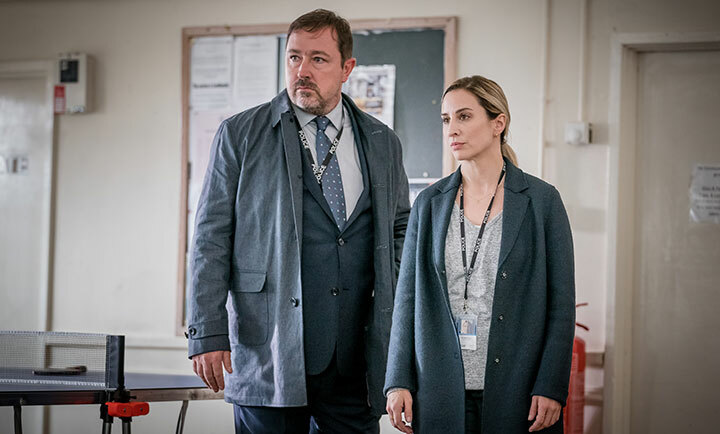 Fresh off the back of relationship/crime thriller Liar, also for ITV, and time-shifting Rellik for the BBC, Cheat has all the hallmarks of a tension-filled Two Brothers romp, with many questions unanswered as the audience struggles to work out who to trust. That’s just episode one. “It’s about all the dark, slippery and wrong emotions that you pretend you don’t have, but everyone does, and they’re the ones that get you into trouble. It’s not a normal thriller/cop show where police cars come in and there’s a dead body; it’s about normal people in this rarefied world of academia and all those feelings about not quite fitting in, feeling jealous, frustrated, and they start to build and build. The duel between Leah and Rose is chivvied along by an impressive performance from Goodman-Hill as the supercilious, fractious, exasperated and occasionally caring Adam. And in keeping with Cheat’s plan to confound viewer loyalties, you don’t feel the utmost sympathy for the character when you see his corpse lying in the morgue. Peter Firth (Spooks) and Lorraine Ashbourne (Jericho) add to the ensemble with typically divergent parental advice as Leah’s academic mum and dad. However, it is Kelly and Windsor who are the focal points, their characters’ interactions laced with menace and throwing up signals of sexual allure, obsession, jealousy and certainly some mutual respect. According to Hooper, director of photography Ed Rutherford wanted to make sure it was a real “cat and cat” relationship, rather than cat and mouse, pitching the main actors against each other, with both “tough as nails, like two boxers in the ring.” Windsor says her portrayal of Rose, therefore, had to be instinctive in places to feel as authentic as possible. Dramas set in the world of academia often find themselves facing criticism, with scholars quick to take to social media to vocalise any unrealistic televisual portrayals. That Leah does not have a permanent role at her university but lives in a palatial detached house will likely raise a few eyebrows, as might Adam’s casual attitude towards a multimillion-pound research grant proposal. Hooper acknowledges she wanted to make Cheat feel “slick and cinematic” but also to maintain as many true-to-life elements as possible. Additionally, the inspiration for the story sprung from a similar case of real-life cheating brought to writer Gaby Hull (Benidorm) by an academic acquaintance. Although this was originally used as a guiding light for the series, Hull says it became more of a springboard into interpersonal relationships. 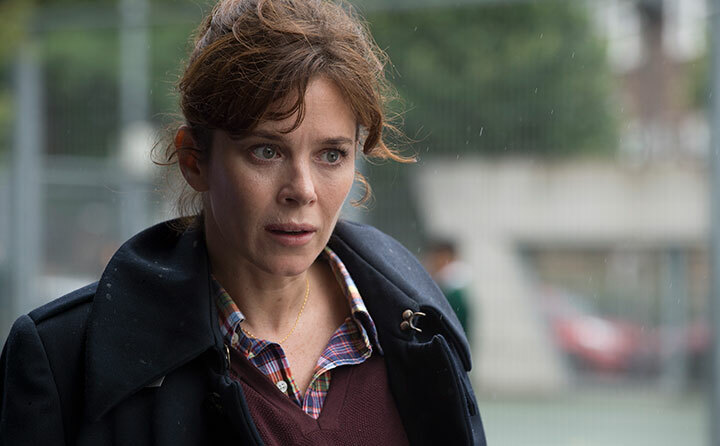 As Hull indicates, academia is a handy launchpad for the twists that follow in Cheat, which was screened at Berlinale last month ahead of its ITV launch next Monday. By the time episode one ends, audiences quickly realise that the answers they’re seeking can’t be found in a textbook. 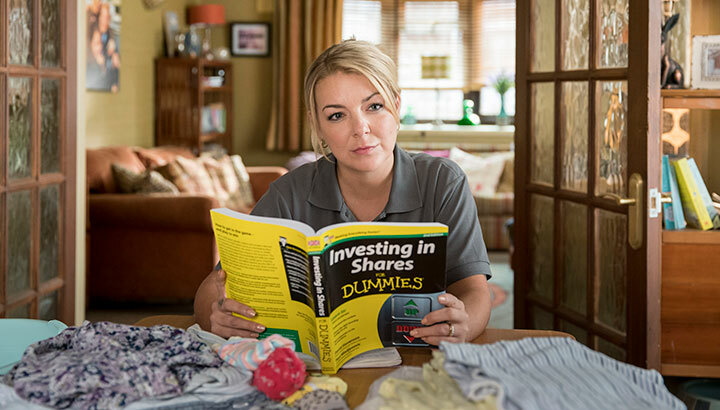 Cleaning Up stars Sheridan Smith as an office cleaner who attempts to clear her gambling debts by entering the murky world of insider trading. 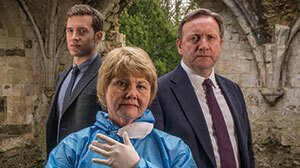 Smith, her fellow cast members, writer Mark Marlow and executive producer Jane Featherstone discuss making the six-part ITV drama. During a screen career spanning more than 20 years, Sheridan Smith has won acclaim for her portrayal of real people in biopics such as The Moorside, Mrs Biggs, The C Word and Cilla. 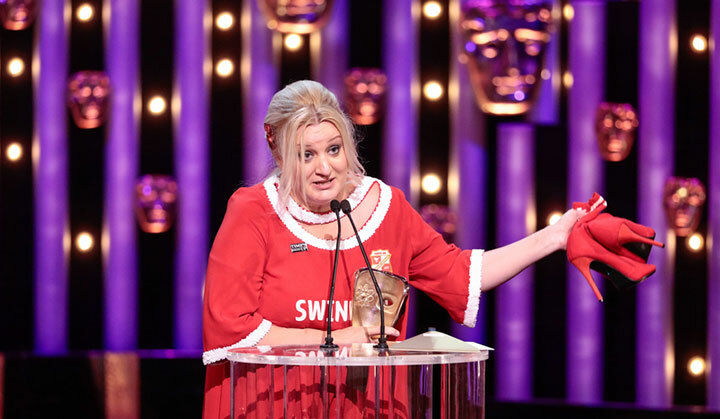 So it’s surprising to hear her reveal that the most stressful part of appearing in ITV drama Cleaning Up was playing Sam, the fictional lead character. In the six-part series, created and written by first-time writer Mark Marlow, Sam is part of an invisible army of minimum-wage cleaners who sweep, polish and dust the offices of a financial firm whose offices look out across London from the city’s towering Canary Wharf district. But struggling with an online gambling addiction and drowning in debt, the mother-of-two begins to use valuable inside information to bet big on the stock market in the hope of changing her fortunes. After taking some time out of the limelight, stage and screen actor and singer Smith returned with an album last year and an acclaimed performance in BBC one-off drama Care, in which she plays a struggling single mum who finds herself having to care for her elderly mother when the local health authorities refuse to take responsibility. Cleaning Up completed filming a year ago but the timing of the six-part drama couldn’t be more topical, with gambling and, in particular, mobile gambling apps, being key to the story. It also highlights the plight of the thousands of office cleaners on controversial zero-hour contracts whose work often goes unrecognised or unnoticed. Smith and co-stars Jade Anouka (Jess) and Branka Katic (Mina) went on a cleaning course to ensure their on-screen performances met the standard of real-life workers, while Smith says she also learned about the stock market and insider trading in a similar fashion to her character, who at one point reads a book called Investing in Shares for Dummies. But while Sam’s cleaning job means no one would suspect her involvement in illicit economic activity, financial trader Blake (Ben Bailey Smith), who unwittingly becomes Sam’s initial source of information, doesn’t quite have the same protection as he picks up stocks for a mysterious buyer whose identity remains a secret through the first episode. 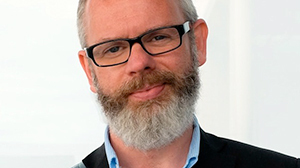 Cleaning Up was created by Marlow, who teamed up with lead director Lewis Arnold and prodco Sister Pictures to bring the series to ITV after conceiving the story while watching big-screen blockbuster The Wolf of Wall Street. 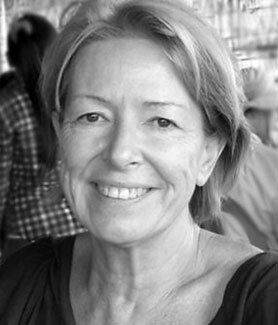 A former video editor, Marlow had been “trying to be a writer” for five years until Arnold introduced him to Sister founder Jane Featherstone (Broadchurch, Humans). Marlow then faced the “daunting” challenge of writing the remaining five episodes, having only ever written a handful of pilot spec scripts. Thankfully, he had an idea of how episode two might begin and that kickstarted the process, which he describes as a huge learning curve. 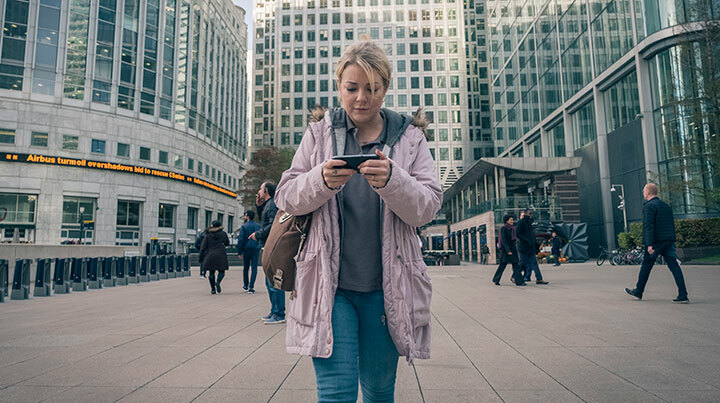 Filming was largely split between London’s iconic Canary Wharf district and a housing estate in the shadow of tower blocks, where Sam lives with her two daughters. A suitable home was found on the Isle of Dogs, with Featherstone admitting it was important to get the location right. 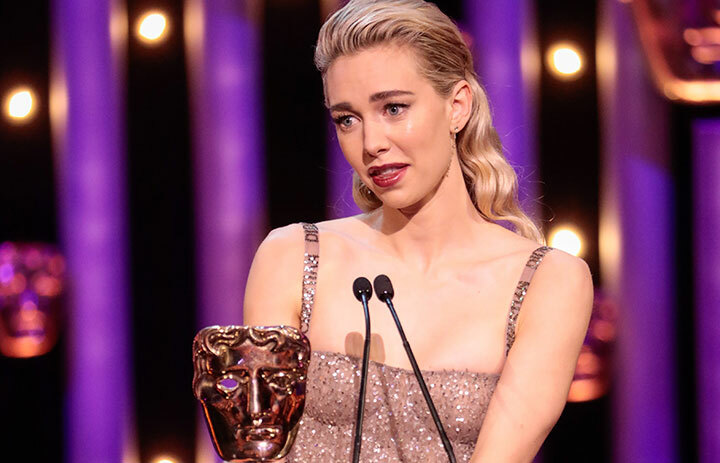 “I’m really fussy about that sort of thing and getting it right, so we built the interior of the house in a studio and used the exterior on the Isle of Dogs,” she says, revealing that cameras weren’t allowed to film on land owned by the Canary Wharf management company due to the subject of the drama. “But there’s a patch of land in front of Canary Wharf Tube station, not owned by Canary Wharf, so all the scenes in Canary Wharf have to be there, all on private land. 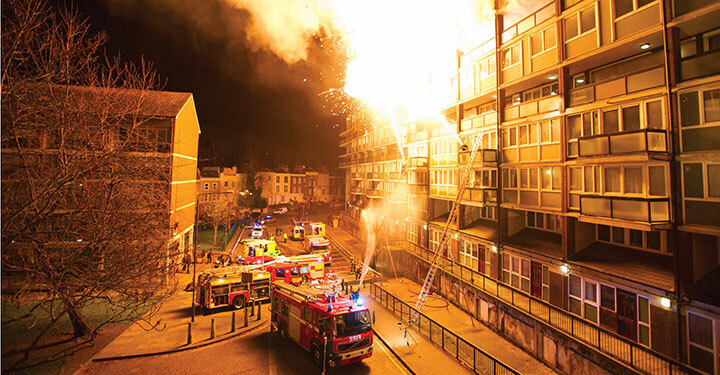 While broadcasters can be nervous about commissioning scripts from fresh writers, Sister Pictures’ involvement put ITV at ease, giving Marlow the space and support he needed to write the drama, which is distributed internationally by ITV Studios Global Entertainment. Featherstone says the story was “irresistible” to her, though the fact it isn’t strictly a ‘genre’ piece was one of the most difficult elements of the project. 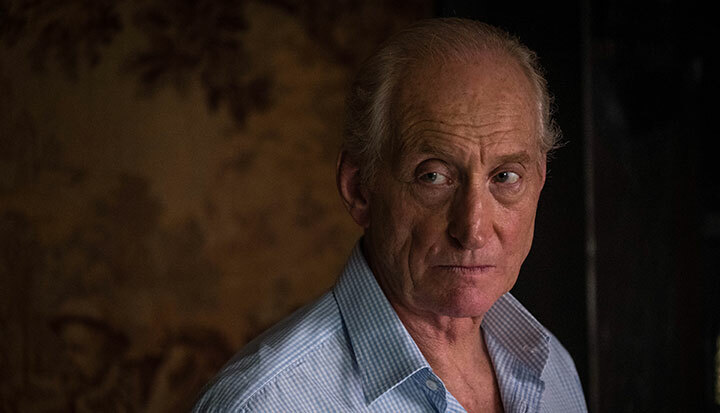 Featherstone and Marlow have discussed storylines for possible second and third seasons, though they admit Cleaning Up’s future rests with viewers and whether they follow Sam’s morally dubious journey into the murky world of insider trading. For her part, Smith says she would also be keen to come back to the show, which begins on ITV on January 9. And as a keen observer of the creative process through production, she is now developing plans to set up her own prodco and build a future off-screen. A feature-length drama explores how British ice skaters Jayne Torvill and Christopher Dean overcame humble beginnings to win gold at the 1984 Winter Olympics. DQ speaks to writer William Ivory and skating consultants Nick Buckland and Penny Coomes about making the ITV film. Such is the fame and unrivalled legacy of British ice skaters Jayne Torvill and Christopher Dean that few who watch a new ITV film based on their rise to fame will not know the result of the 1984 Winter Olympics that saw them perform their iconic Bolero routine in Sarajevo. Yet it’s a sign of the emotional tension in Torvill & Dean that you’re still willing them to grab first place as if you were watching the real thing for the first time. 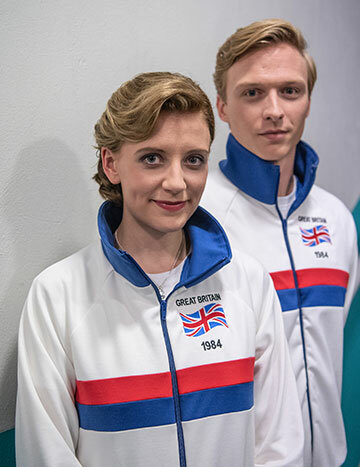 Torvill & Dean stars Poppy Lee Friar (Ackley Bridge) and Will Tudor (Game of Thrones) in the respective lead roles as writer William Ivory (Made in Dagenham) charts the pair’s early years, from the first time they ventured onto the ice to those final moments that saw them clinch Olympic gold. The Darlow Smithson production’s cast also includes Anita Dobson, Stephen Tomkinson, Jo Hartley, Dean Andrews, Christine Bottomley, Jaime Winston and Susan Earl. The executive producers are Ivory and Emily Dalton, the producer is Emma Burge and the director is Gillies MacKinnon. 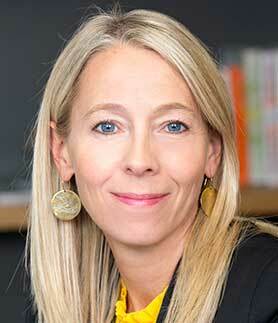 International distribution is handled by Endemol Shine International. The biopic, which is described as a fictionalised account of true events, opens in Nottingham in 1968 with Jayne and Chris as children in their family homes. 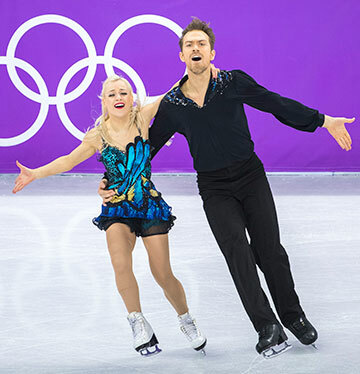 Jayne is introduced to skating on a school trip, while Chris, following his parents’ separation, is given a pair of skates by his new stepmother. Both begin to train with different partners, before they are brought together and are soon taking part in competitions. But with both having full-time jobs and commitments beyond the rink, they face an uphill battle to achieve their dreams. Ivory has form as a screenwriter of one-off biopics, penning 2012’s rowing-focused Bert & Dickie to tie in with that year’s London Olympics. He also wrote Burton & Taylor, about the relationship between Richard Burton and Elizabeth Taylor, the following year. 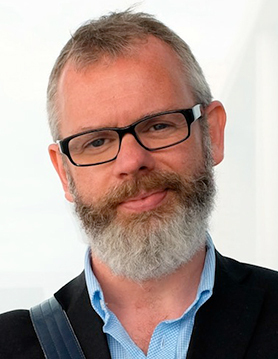 The writer says he approaches all fact-based dramas in the same way – by finding a personal connection to the material. 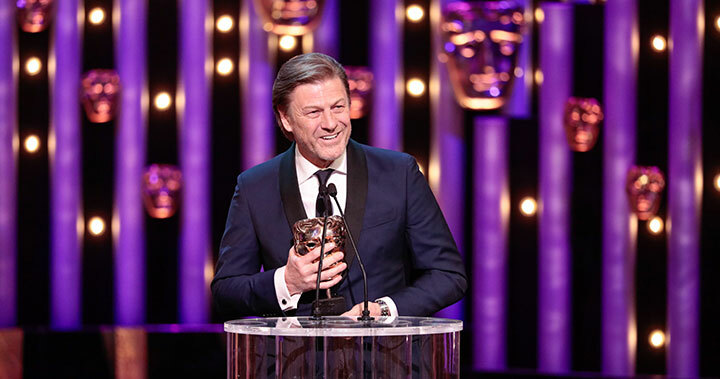 When he was first approached to write Torvill & Dean four years ago, he turned the project down because he didn’t think he could add any value to their story. Then he met exec producer Dalton, and the figure skaters themselves, and became interested in their creative process and how they work together as artists. 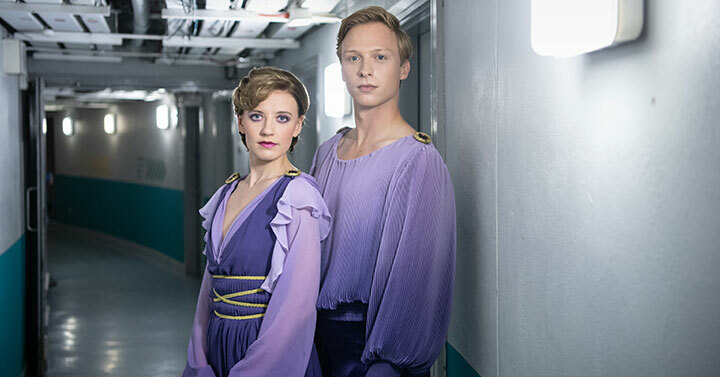 Torvill and Dean read various drafts of the script and gave notes, but all the time understood Ivory was keen to get under their skin and explore certain themes and moments in their lives that they may not have considered significant. Some lines were cut, other bits were kept in, while some scenes were transplanted from one location or time to another to meet the practicalities of the script. As a result, “I believe this film is part of their iconography now,” Ivory says. “It might sound ridiculously overblown but I think they’ve been doing something really interesting right through their careers and they are still exploring something, they are trying to push themselves creatively all the time and I admire that. In the film, the contrasting personalities of Torvill and Dean become clear, with the latter more abrasive and abrupt while Torvill appears gentler and more accommodating. 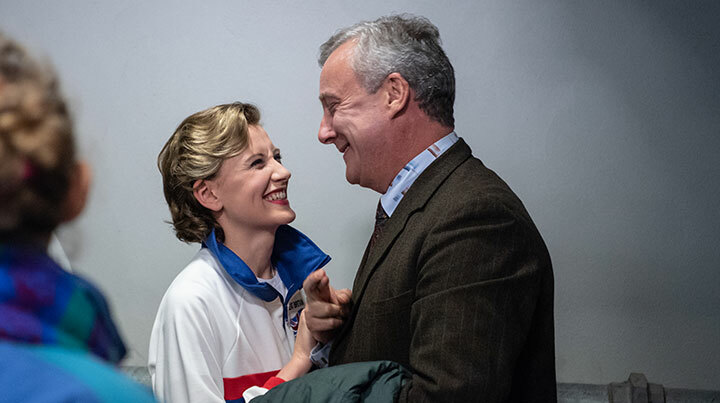 With biopics often focusing on one particular event, it’s interesting that Ivory chose to write a broad take on Torvill and Dean, from their childhood to the Bolero in 1984. When he wrote Bert & Dickie, he recalls, he cut the first 90 pages of the script, as it was all backstory, to give the show a singular focus on Dickie Burnell and Bert Bushnell’s bid for gold at the 1948 Olympics. In this case, Ivory was keen to show where Torvill and Dean had come from and, in particular, the fact that they didn’t receive any help on their journey to becoming world-class skaters. Dean, in particular, had an unsettled childhood, which features in the film, and the writer believes this informed his demand for precision and the stories in their dances, which were often about love or unrequited love. Unsurprisingly, the challenges of making Torvill & Dean centred on scenes filmed on the ice, which Ivory describes as a “very hostile environment” for a film crew. Not only was it tough to light correctly, but recreating the skaters’ extremely difficult routines also proved tricky. 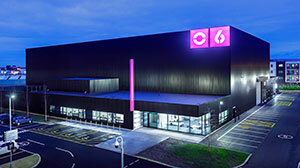 That was where Nick Buckland and Penny Coomes, five-time British ice skating champions and three-time Olympians, came in, acting as consultants, skating doubles and mentors on the drama. The couple also trained in Nottingham, with Dean among their coaching team, and cited Torvill and Dean as their main inspirations. Filming took place in Belfast, where they felt “huge” responsibility to ensure the skating was accurate and authentic. Buckland reveals they started a WhatsApp group where they would share pictures of movements and poses they wanted the actors to learn, communicating with them around the clock. Then on the ice, Friar and Tudor would skate together, and for any complex moves, Buckland and Coomes would step onto the rink. Sometimes Tudor would dance with Coomes, and Friar with Buckland, depending on the shot required by the director. 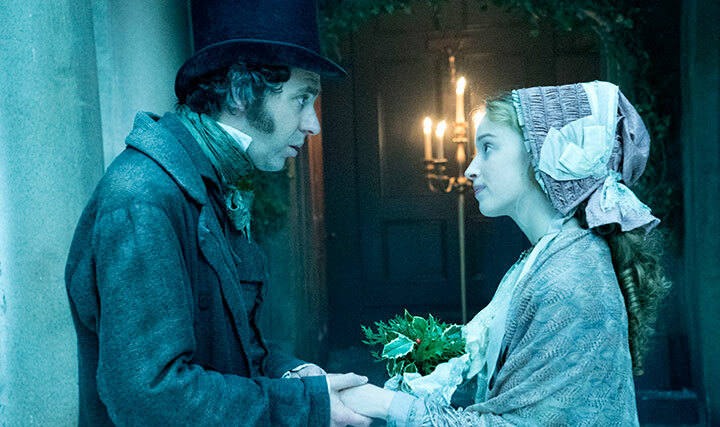 With Torvill & Dean airing as the centrepiece of ITV’s Christmas Day schedule, Ivory hopes viewers will be left with a greater appreciation of the sacrifices the duo made to reach the top. 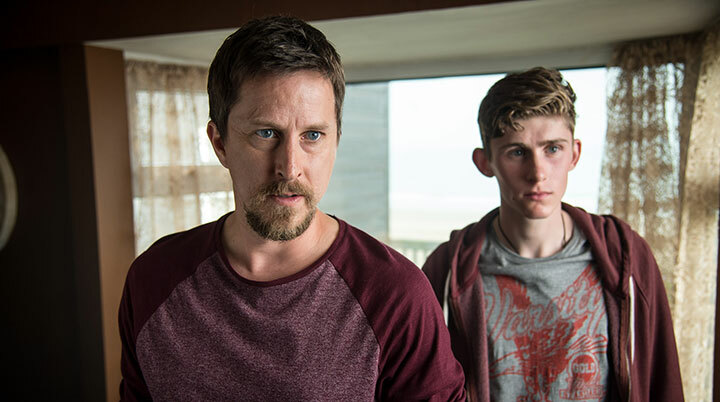 Lee Ingleby is out to prove he’s not a murderer in ITV’s emotionally taut four-part drama Innocent. 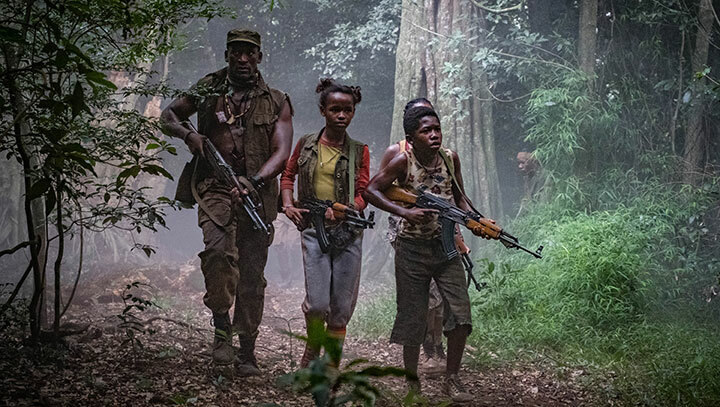 DQ speaks to writers Matt Arlidge and Chris Lang and producer Jeremy Gwilt about putting viewers at the heart of this moral dilemma. At the heart of every good drama is a moral dilemma, according to writer Matt Arlidge. 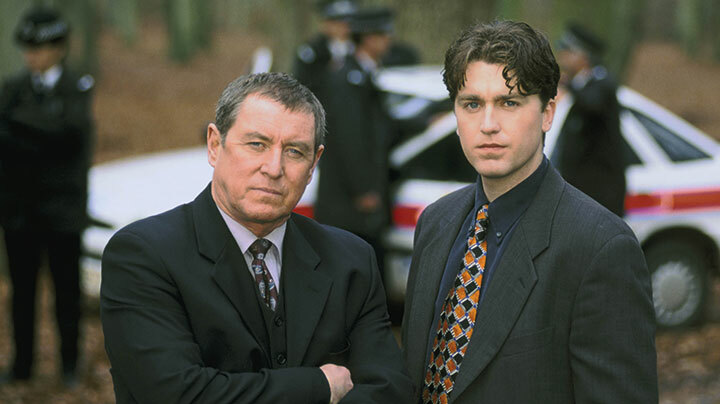 If that’s the case, Innocent, created and written by Arlidge and Chris Lang, is a very good drama indeed. 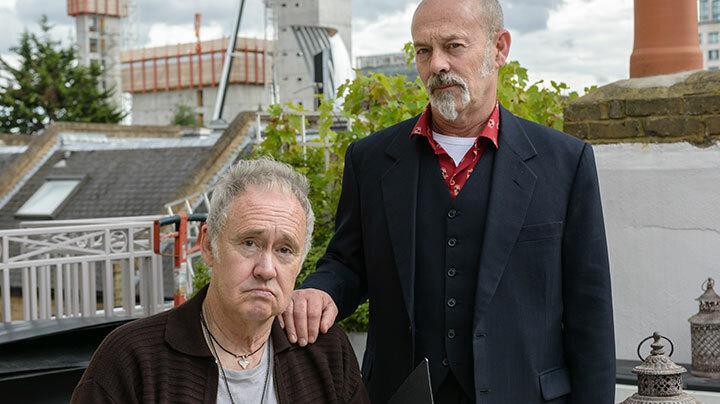 The four-part series, which launched last night on ITV in the UK and runs on consecutive nights until Thursday, sets out its stall in the opening scene. 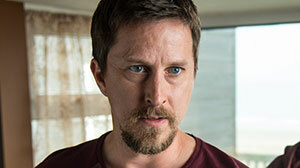 David, played by Lee Ingleby, appears on the steps of a court and tells the waiting press that he’s spent seven years in prison for murdering his wife – a crime he claims he did not commit. During that time he’s not only lost his liberty and reputation but his kids as well. The question is, do you believe him? 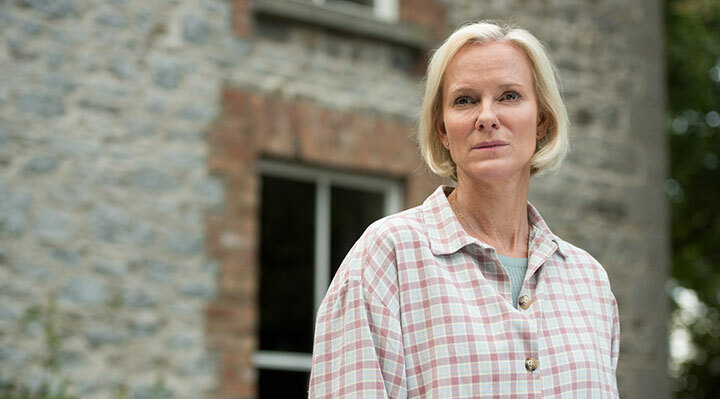 To the horror of his wife’s family, including sister Alice (Hermione Norris) and her husband Rob (Adrian Rowlins), the case is reopened and the ensuing investigation will see allegiances flip-flop as the drama unfolds. 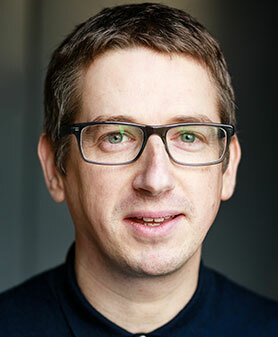 Other cast members include Daniel Ryan as David’s faithful brother Phil, Nigel Lindsay as DI William Beech and Angela Coulby as DI Cathy Hudson. 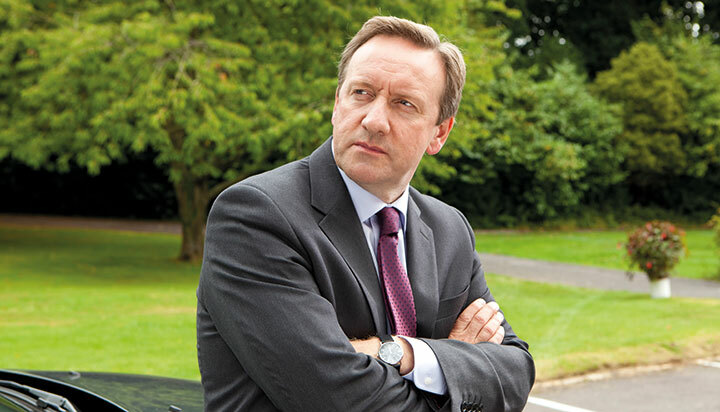 The show, distributed by All3Media International, was inspired by articles Arlidge and Lang had read about miscarriages of justice. It made them think about the impact of those judgments and the consequences for the families involved. 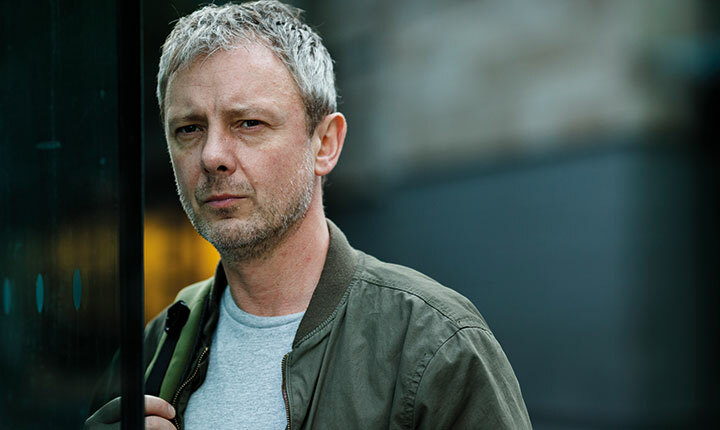 “It uses a thriller structure to explore how families work when there’s pressure put on them that exposes the fault line of a family dynamic,” says Lang, whose ITV series Unforgotten, which is filming its third season, means he is no stranger to crime drama. 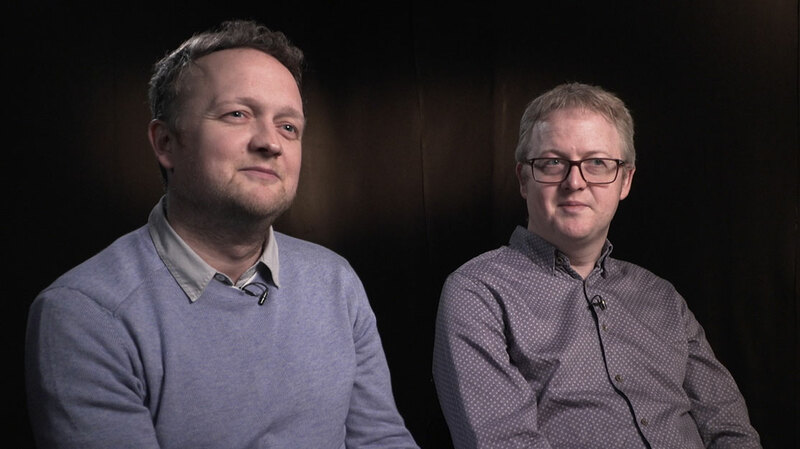 Innocent producer TXTV was founded by Arlidge, Lang and producer Jeremy Gwilt and each of its projects relies on all three creative directors being available to collaborate. While Lang’s Unforgotten was produced by Mainstreet Pictures, Innocent was greenlit at a time when the TXTV trio were free to work on the show together. Gwilt was involved in the development process from the outset and he describes this tight, creative relationship as one of the features of their company. Although the show is set on the Sussex coast, filming took place in Ireland and the taut emotions of the drama are counterbalanced by sweeping cinematic drone shots along the coastal estuary. Lang says they are the lungs of the piece, giving it space to breathe. Innocent editor Michael Harrowes adds that the isolated hut on the beach to which main character David returns after his incarceration adds to the emotional impact of the story. “There was a craving for space and freedom,” he says. “David was trapped; set free from prison but trapped in this enormous space where he was surrounded by the coast. Editorially, it was a genius move to set it on the coast. 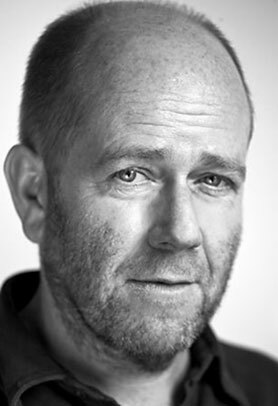 Writer Simon Nye talks to DQ about writing The Durrells, ITV’s hit family drama about a British family living on the idyllic Greek island of Corfu in the 1930s. For a certain generation, Simon Nye will always be known as the creator of long-running comedy series Men Behaving Badly, a series that defined the ‘lad culture’ of the 1990s. In fact, the writer and author has his roots firmly in the comedy genre, having written other series including Hardware, Wild West, Carrie & Barrie, Beast and Reggie Perrin. More recently, he penned TV biopic Tommy Cooper: Not Like That, Like This, and wrote a 2010 episode of Doctor Who, with Matt Smith then in the lead role. Today he’s still writing comedy, but The Durrells is arguably more dramatic and certainly more exotic than anything he’s written before. 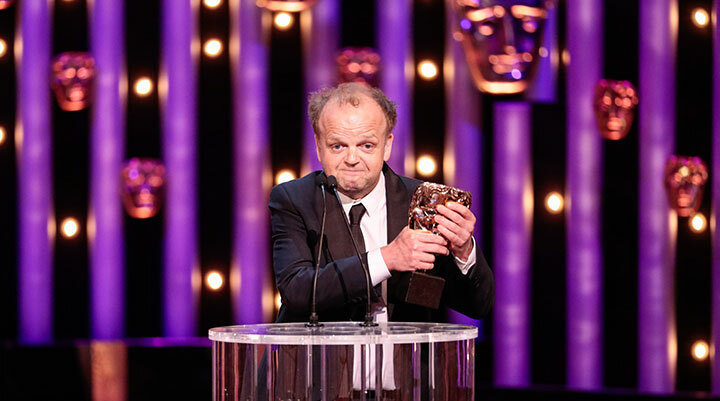 In fact, he wrote a BBC TV movie based on Gerald Durrell’s autobiographical novel My Family and Other Animals in 2005, before returning to the novel and its two sequels – known as Durrell’s Corfu trilogy – for the ITV drama, which first aired in 2016. 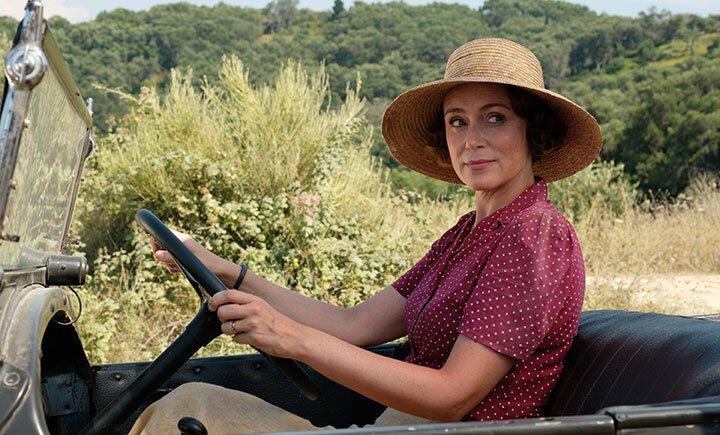 Now in its third season, the series continues to tell the story of Louisa Durrell (played by Keeley Hawes) and her four spirited but unruly children who have left England for a new life in Corfu in the 1930s. It is produced by Sid Gentle Films and Masterpiece in the US and distributed by BBC Worldwide. Nye is no stranger to adaptation, having turned his own Men Behaving Badly and Wideboy novels into TV shows. The second was known on screen as Frank Stubbs Promotes, starring Timothy Spall. He also penned a TV movie version of The Railway Children for ITV, as well as his earlier Durrells effort. 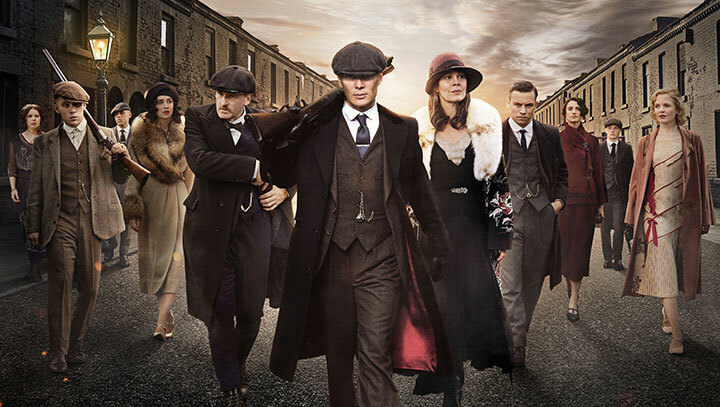 Each episode presents the challenge of finding a story for the each of the large cast, which includes Louisa and her children Larry (Josh O’Connor), Leslie (Callum Woodhouse), Margo (Daisy Waterstone) and Gerry (Milo Parker), not to mention the returning Greek characters and this season’s new arrivals. “Initially you want to come up with a satisfying spine for the whole season,” says Nye, who adds while his storylines are informed by the books, he also has to do a lot of legwork himself. “Leslie has a long story that runs through it and we’ve got such great actors that you really want to give them something they can get their teeth into, other than just looking pretty on the terrace. That’s the real challenge, in 46 minutes, to get everyone firing. The stories do move along swiftly so it’s a question of cramming as much as we can in without making it look ridiculous. I tend to start slowly and later episodes are easier to write. At its heart, however, The Durrells is the story of a family loving one another but simultaneously at war with each other, an idea that has served as the framework for the entire series. The story opens with Louisa taking her brood to Corfu in an attempt to patch up their differences, but the Mediterranean landscape only serves to highlight their individual and collective eccentricities. 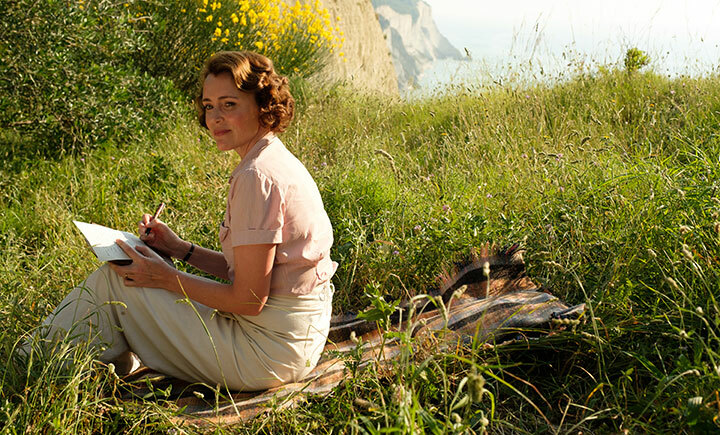 While the British family’s place in Europe is at odds with the current political landscape, Nye is reluctant to pepper The Durrells with references to Britain’s vote to leave the Europe Union, despite his own staunch anti-Brexit position. 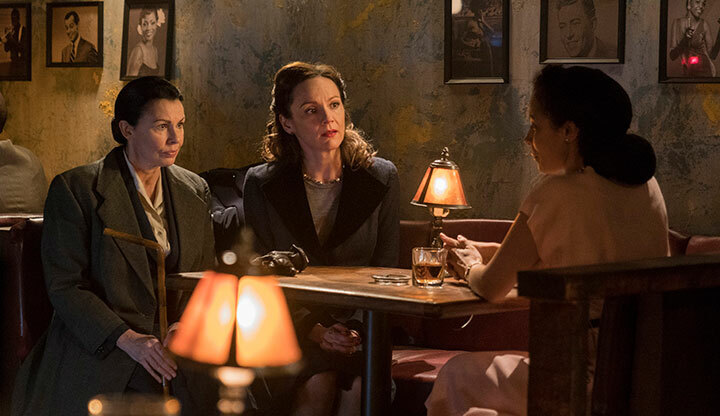 But with war looming – season three is set in 1937 – the drama does serve as a reminder that Europe is not a place of harmony. 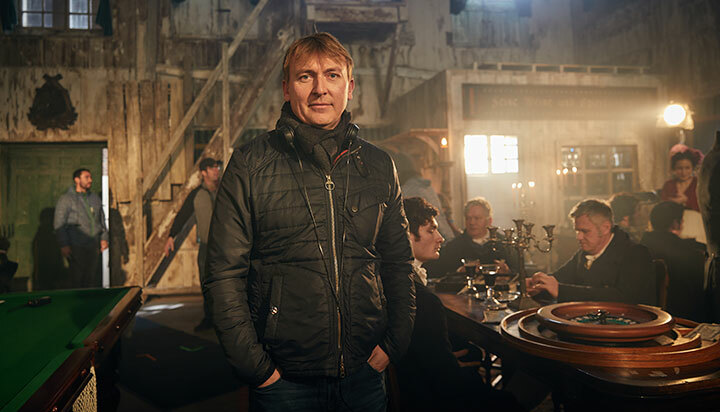 Writing every episode of the series means Nye has little time to mix with the cast and crew, admitting that he spends most of his time trying to catch up with the production schedule instead of hanging around on set. “Especially with eight episodes, you’re trying to make sure you deliver them on time,” he says. But he hasn’t yet reached a point where he wants to bring other writers onto the series. Unsurprisingly, one of biggest challenges on the series is filming with the many animals that make up budding naturalist Gerry’s expanding menagerie, with the third season introducing a sloth and flamingos, which Nye says make pelicans look positively professional. British period drama The Durrells returns for its third season with more fun in store for the eponymous family. 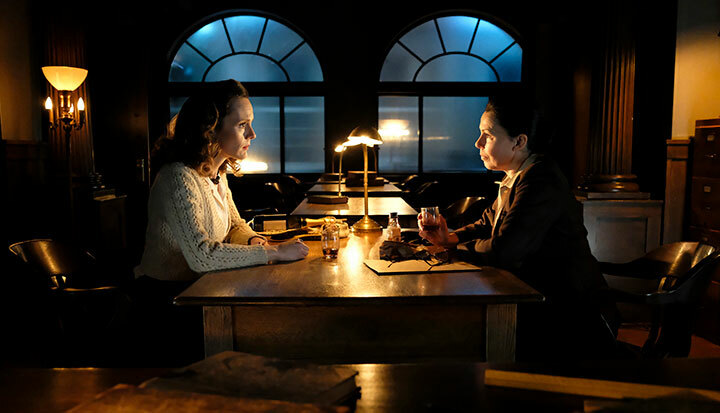 DQ caught up with star Keeley Hawes and the production team on the set at the world-famous Ealing Studios. In the green room at Ealing Studios, we are surrounded by the most unusual props: vintage bird cages, ancient posters of beetles and butterflies, old hamster cages, lots of pressed flowers, distressed wooden shutters, an antique garden bench covered in ‘lived-in’ throws and cushions, and a period microscope. You do not have to be Sherlock Holmes’ long-lost Hellenic cousin to work out that we are on the set of The Durrells, ITV’s enormously popular adaptation of Gerald Durrell’s bestselling memoir, My Family and Other Animals. 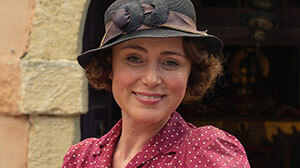 Scripted by Simon Nye (Men Behaving Badly), this easy-going series set in the 1930s follows the trials and tribulations of the Durrell family – long-suffering widowed mother Louisa (Keeley Hawes), struggling novelist Larry (Josh O’Connor), awkward, gun-obsessed Leslie (Callum Woodhouse), embryonic feminist Margo (Daisy Waterstone) and budding naturalist Gerry (Milo Parker) – as they move from stuffy Bournemouth and strive to carve out a new life for themselves in Corfu. 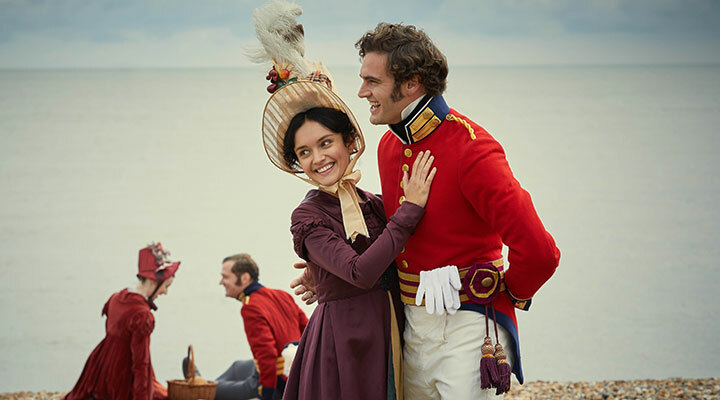 In the third season, which begins on March 18, Louisa has resolved to renounce her quest for romance and instead concentrate on her family. But with Larry battling to complete his third novel, Margo desperate to find a new vocation, Leslie careering between three different girlfriends and Gerry continuing to expand his menagerie, Louisa has an awful lot on her plate. Ealing Studios is a place redolent of filmmaking history. It has been home not only to such recent productions as Downton Abbey and Beauty & the Beast, but also such timeless Ealing Comedies as The Lavender Hill Mob, The Ladykillers and The Man in the White Suit. The Durrells, which is made for ITV by Sid Gentle Films as a coproduction with PBS strand Masterpiece and distributed by BBC Worldwide, also taps into a deep communal yearning for a mythical, more gentle and less threatening past. This instinct is perhaps fuelled by a desire to lose ourselves in a realm far removed from the horrors of the real world. The scheduling also helps a great deal. As Britain is battered by storms and snow, what could be more relaxing than luxuriating in the flawless blue skies of Corfu? It is classic escapist Sunday evening drama. In addition, The Durrells bears out that old filmmaking maxim: never work with animals. The creatures that make up Gerry’s substantial and ever-increasing menagerie are generally very well behaved, but inevitably there are still rogue elements. Liz Thornton, who works as the animal coordinator on the production, reveals that the most difficult animals she has had to deal with on The Durrells are – quite surprisingly – pelicans. “Out of all the animals, you really don’t know what they’re going to do. 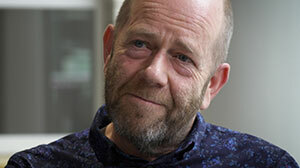 The show has also thrown up some intriguing tests for production designer Stevie Herbert. She says her most demanding task is sometimes working out precisely what things are. “The agricultural equipment on Corfu is fascinating,” she says. “There is a guy in the village whose house is like an agricultural museum. You look at an implement and think, ‘What is that?’ They’re uniquely Corfu. For all the challenges, the cast and crew have clearly relished working on the Greek island. 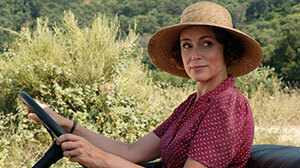 Herbert speaks for everyone on The Durrells when she declares: “Corfu is so beautiful. The sun and the sea and the scenery are all amazing. It’s a feeling no doubt shared by the millions of viewers who tune in to The Durrells every week. British India-set medical drama The Good Karma Hospital returns for a second season as the eclectic cast of characters face new challenges in their professional and personal lives. DQ goes behind the scenes on location in Sri Lanka. Setting a feel-good drama in a sun-soaked paradise has proven a fruitful formula for British TV makers. 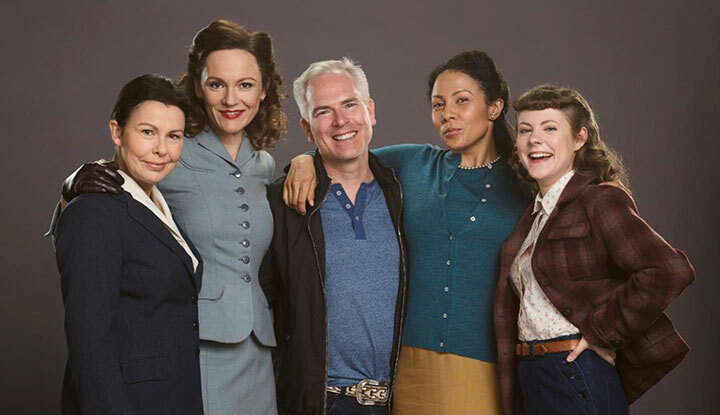 It’s been deployed with success in series from Death in Paradise and The Durrells to Wild at Heart, The No 1 Ladies’ Detective Agency and even Doc Martin. Most recently it’s been a winner for ITV’s The Good Karma Hospital, which is back this month for a second season. Good Karma’s USP is that it’s a medical drama that offsets its palm-fringed backdrop with emotional stories from a run-down rural Indian hospital. There’s added comfort for viewers in finding familiar faces stationed in this exotic destination, including Amanda Redman and Neil Morrissey. Set in Kerala in southern India, Good Karma is actually filmed in Unawatuna on Sri Lanka’s west coast to avoid India’s monsoon season. 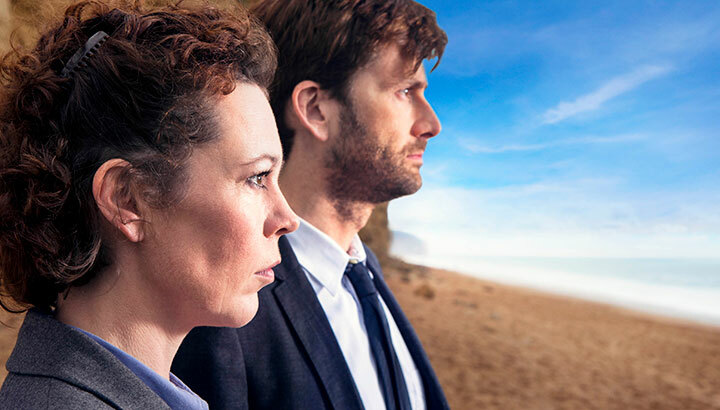 It’s based on the experiences of writer Dan Sefton, who also pens Sky 1’s Delicious and was the man behind last year’s Trust Me with Jodie Whittaker, recently renewed for a second season by BBC1. Accident and emergency doctor Sefton – currently taking a hiatus from medicine due to his writing workload – got the idea from working in a cash-strapped cottage hospital in South Africa after qualifying as a doctor. DQ is visiting the stiflingly hot set of the drama at the dilapidated Amarasooriya Teachers Training College, which has been taken over for filming. Though set on a busy main road, it’s surrounded by large gardens that bring a blast of colour to the screen, and on which sits a charming open-air shack that serves as the doctors’ café. Off-camera, it’s a different story: dozens of extras mill about, crew members carry cables and lights, and there’s a queue for the food service truck’s fresh coconuts. Ask for one and the man behind the counter takes a machete, whacks the top off a coconut and sticks a straw in it – not a common sight at British craft service tables. 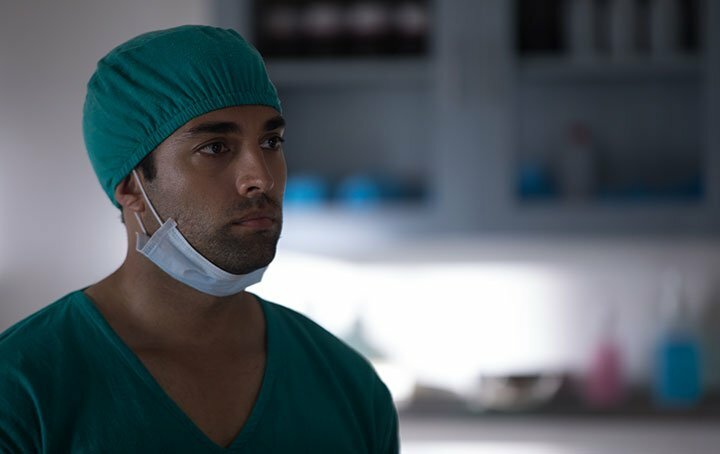 Rounding out Fonseca’s staff is handsome-but-surly Dr Gabriel Varma (James Krishna Floyd), Nurse Mari Rodriguez (Nimmi Harasgama) and Anglo-Indian Dr Ruby Walker (Amrita Acharia). 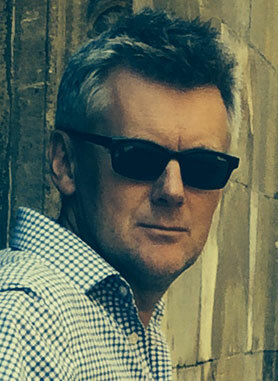 As Greg McConnell, Fonseca’s long-term boyfriend, Morrissey has lucked out – his character owns the local beach bar, which means the bulk of his scenes are played out in an open-air set cooled by Indian Ocean breezes. 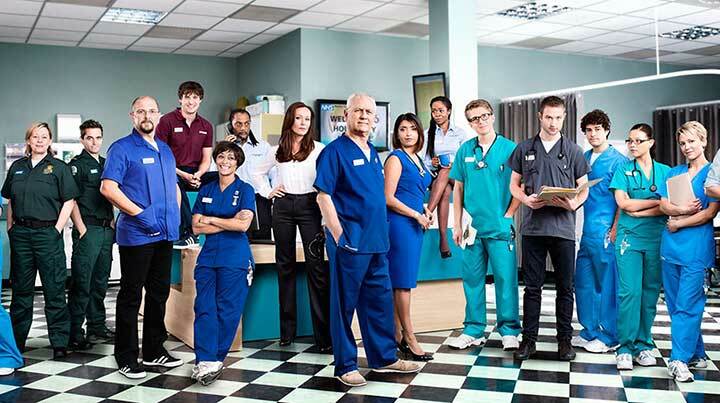 Season one dealt with Walker’s impetuous decision to leave her NHS job and emigrate to India, only to find herself at Fonseca’s cash-strapped hospital. 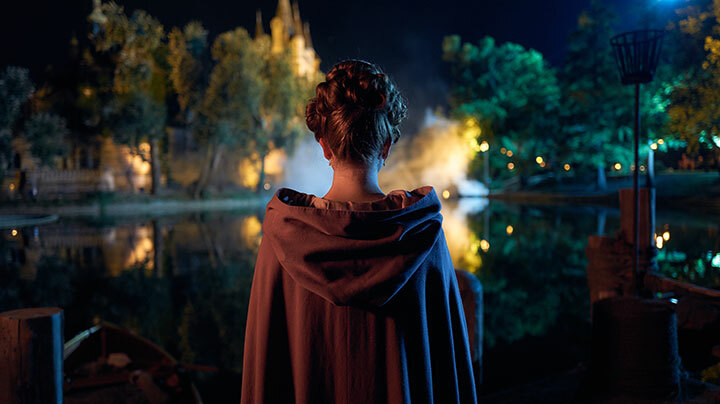 To avoid a sophomore slump, Sefton and producers Tiger Aspect had to find new storylines for season two, which begins in the UK this Sunday. Adding to the difficulty of their task was the fact that a major character, Maggie Smart (played by Downton Abbey’s Phyllis Logan), died at the end of season one. 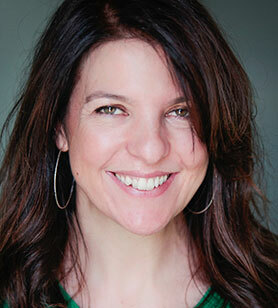 “One of the big decisions we made was not to bring in any new regulars,” explains executive producer Lucy Bedford. “What we felt when reflecting on season one is that we had this amazing core cast, and that the nature of show meant we didn’t get to know them as well as we should have. 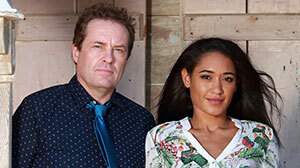 “So, along with our robust stories of the week, we also wanted to give a bit of space to the serial elements of the show, with all the characters going on big journeys.” Dr Walker will explore her Indian heritage and Dr Fonseca her inability to commit, while McConnell helps Maggie’s widower, Paul (Phillip Jackson), through his grief. 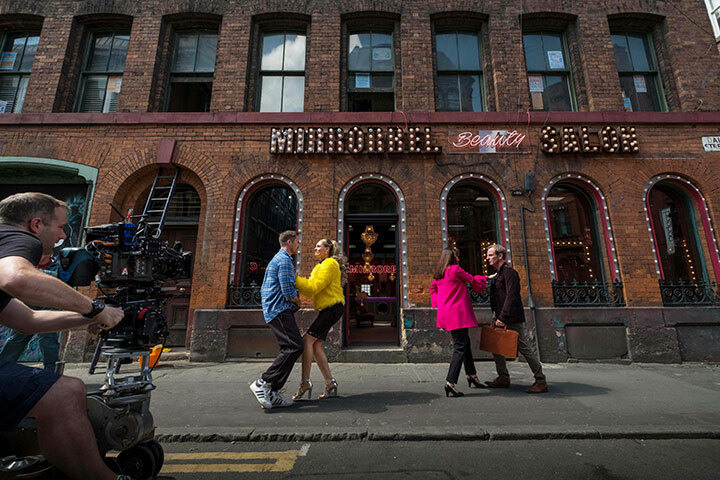 To ensure the exotic setting remains eye-catching, new filming locations were found for the series, which is distributed globally by Endemol Shine International. Dr Walker has been moved away from her cottage in the rice fields into an urban flat in fictional Barco – filmed in Weligama, a half-hour drive down the coast. “We did it to keep evolving the visual palette of the show and to give Ruby a different connection to the world, because she’s not a tourist anymore,” explains Bedford. Episodes three and four are set on a lush tea plantation (three different plantations were used) and the final episode features a full-scale Indian wedding with all the regulars in traditional dress. Another big set piece sees Dr Fonseca visit her former medical mentor (played by British stalwart Sue Johnston) on her houseboat, built on a private jetty on nearby Koggala Lake. The downsides to filming in the country, says Bedford, are that vehicle hire can be expensive and certain equipment is unavailable – a portable ultrasound machine had to be flown from in the UK. A few actors went down with stomach troubles, and a serious outbreak of dengue fever – a potentially fatal mosquito-borne disease – in Sri Lanka saw two crew members admitted to hospital. But the benefits of filming in such an alien locale outweigh the drawbacks. Over drinks at their hotel, the actors enthuse and laugh about their encounters with Sri Lanka’s wildlife. Morrissey flashes photos he took of a snake that slithered into his hotel’s lounge and Acharia recounts how she found a scorpion nestled inside her yoga mat. Redman spotted a crocodile in Koggala Lake, though from a safe distance – the houseboat she filmed in had safety nets around it. Bedford, Sefton and their team are busy working on storylines for Good Karma’s third season, should it be recommissioned. Along with developing the characters’ personal lives, they conduct meticulous research into relevant medical storylines reflecting Indian culture in a bid to provide an engrossing hour of television that has a satisfying emotional payoff but remains upbeat. 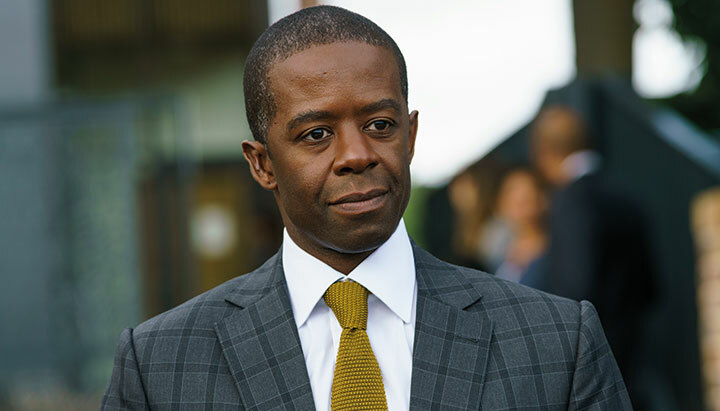 ITV pits Adrian Lester against John Simm in Trauma, a nail-biting three-part thriller from Doctor Foster creator Mike Bartlett. DQ visits the set to speak to the writer and producer Catherine Oldfield. 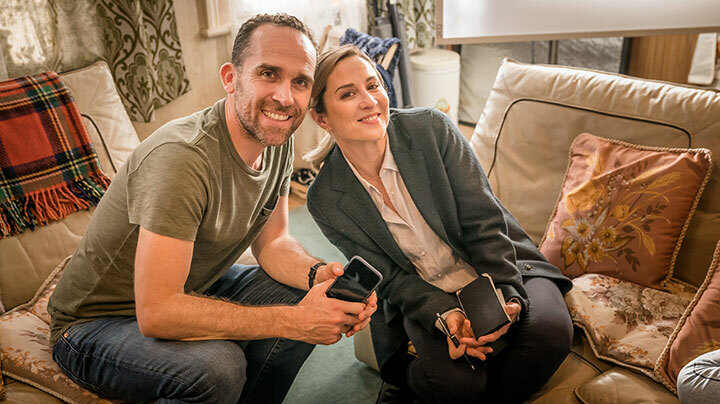 Launching in 2015, domestic thriller Doctor Foster quickly became one of the most talked-about shows of the year, with stars Suranne Jones and Bertie Carvel doing battle in a taut thriller about a woman seeking revenge after uncovering her husband’s infidelity. 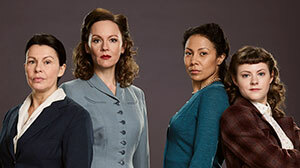 Season two put viewers through the wringer once again when it aired on BBC1 last year. 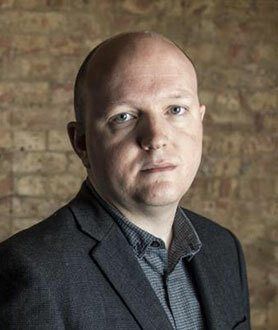 Before then, however, screenwriter and playwright Mike Bartlett had started working on the idea behind Trauma, a three-part drama airing on consecutive nights on UK broadcaster ITV from Monday. Using a hospital trauma centre as its backdrop, the story is about what happens when you place your trust in another person, only for something to go wrong. 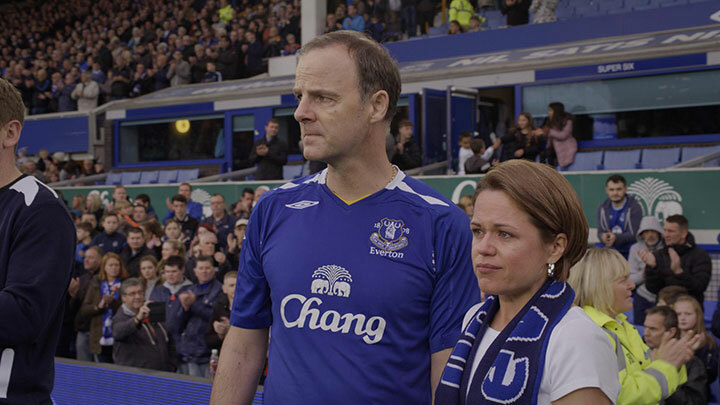 Development was put on hold as Bartlett worked on Doctor Foster and continued his theatre career, but Trauma eventually went into production last year. The show is produced by Tall Story Pictures, directed by Marc Evans and distributed by ITV Studios Global Entertainment. 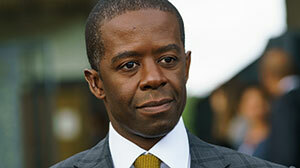 It stars Adrian Lester as Jon, a trauma surgeon who is unable to save the life of 15-year-old Alex, the son of John Simm’s character Dan, who holds Jon responsible for Alex’s death. As he strives for justice, Dan begins to unpick the very fabric of Jon’s life as his own unravels in the wake of Alex’s passing. “I looked at a trauma centre and we looked at the people who worked there and it was really interesting as a context, but then I didn’t really want to write a medical drama,” Bartlett tells DQ on location at Jon’s family home, a luxury four-storey house in Clapham, south-west London. “I wanted to find a story that was a bit different. We live in a world where you get a lot of choice and get to control things, but when you’re thrown into a hospital, you’ve got to place 100% of your trust or the people you love into the hands of someone you’ve never met before. So this story is about what happens when that goes wrong. DQ visits the set on the 33rd day of a 35-day, seven-week shoot that included a two-day rock-climbing sequence. It’s here at Jon’s house that Lester, Rowena King (as Jon’s wife Lisa) and Jade Anouka (their daughter Alana) are filming with director Evans. King is clapped off at the end of the day, having completed her final scene. Bartlett had been in conversation with Tall Story creative director Catherine Oldfield, who produces Trauma, about working together for several years. “We originally talked about doing The West Wing set in a newspaper room, but now he’s making it without us,” she jokes, referring to Bartlett’s forthcoming BBC drama Press. 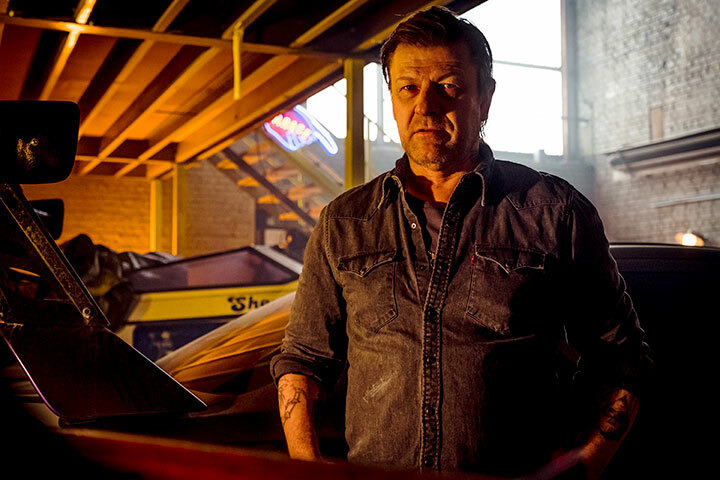 Bartlett describes feeling “fulfilled” by the more hands-on role afforded by both writing and exec producing the series, with his involvement in conversations throughout production meaning he didn’t have to put everything into the scripts. 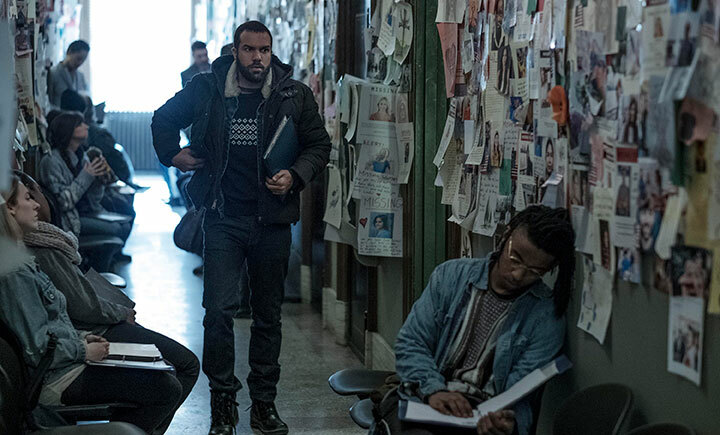 With the opening episode of Trauma, Bartlett succeeds in his attempt to keep viewers guessing in terms of both what will happen next and, more importantly, with whom their sympathies should lie. 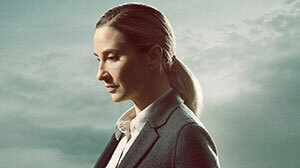 The writer says psychological thrillers such as this and Doctor Foster are more appealing to him than traditional murder-mysteries or medical dramas. “Audiences are so genre-literate that it’s nice to have a drama that is just a story, where you have to watch to find out what it is,” he notes. “We’re actually moving [between genres] because it is a medical drama for a moment and then it becomes a thriller and a psychological thing. Audiences love that now – they love finding something unusual that they can’t quite get a handle on. Both Bartlett and Oldfield tease that Trauma could return, either as a continuation of the story that plays out across the forthcoming three episodes or as an anthology. Fellow ITV drama Safe House has already laid down a blueprint for single drama that returns with a new cast and story. 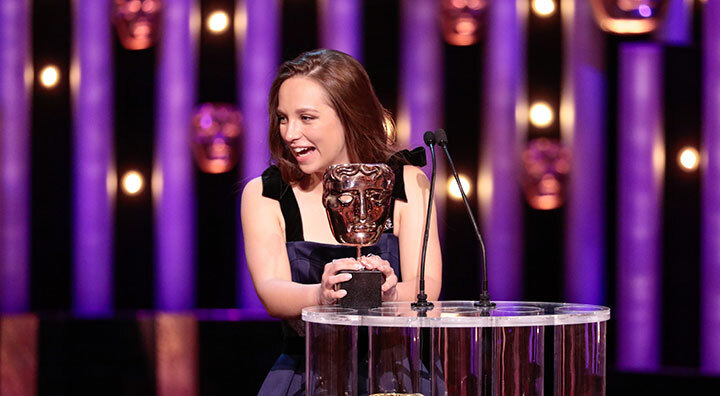 What’s certain is theatre playwrights are continuing to find their way to television – note Jez Butterworth’s television debut with Sky Atlantic and Amazon drama Britannia – but producers and broadcasters may soon have to look elsewhere for new writing talent. 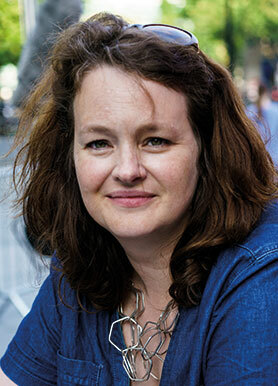 Kate Rowland, creative consultant at Red Planet Pictures and former creative director of new writing at the BBC, discusses the challenges of developing new writers for television as Red Planet seeks submissions for the latest round of its writing competition. 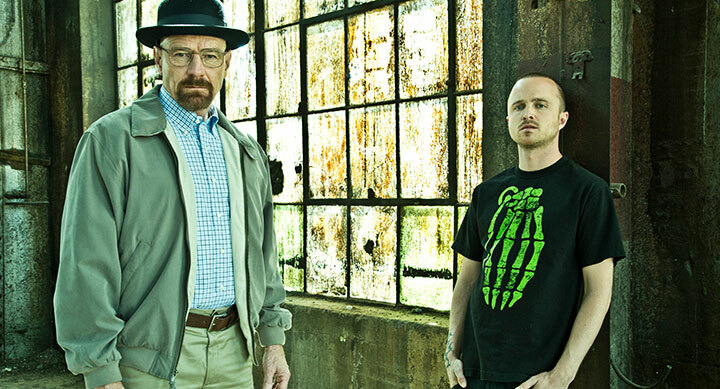 Television drama is more popular than ever; a creative medium that continues to evolve and innovate. As platforms proliferate and broadcasters ring-fence their drama output, it would appear that this is a great time to be a television writer. But how big a challenge is it for someone to break through? How do they make their idea stand out and persuade a commissioner to take a risk on their project? 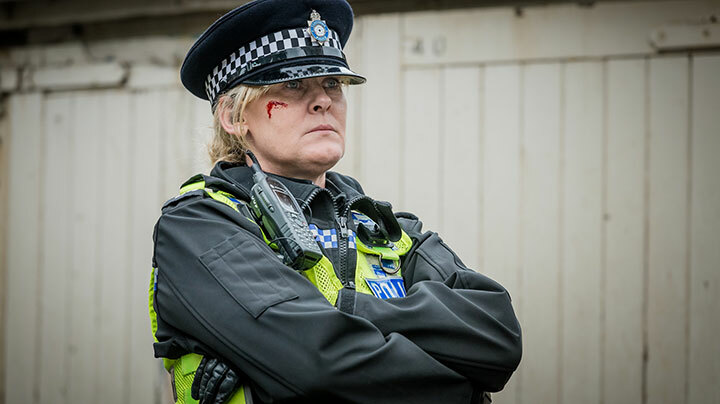 In the current climate channels are more likely to focus their money and attention on writers they trust – experienced talent with a track record of producing drama that makes standout television like Chris Chibnall’s Broadchurch or Sally Wainwright’s Happy Valley. There is a genuine appetite for stories and characters that capture our imagination and make us look at the world in a fresh way. As a writer, you need to not only write a brilliant script but also to understand the art, the craft and the business of being a writer. You need to be relevant and resonant. 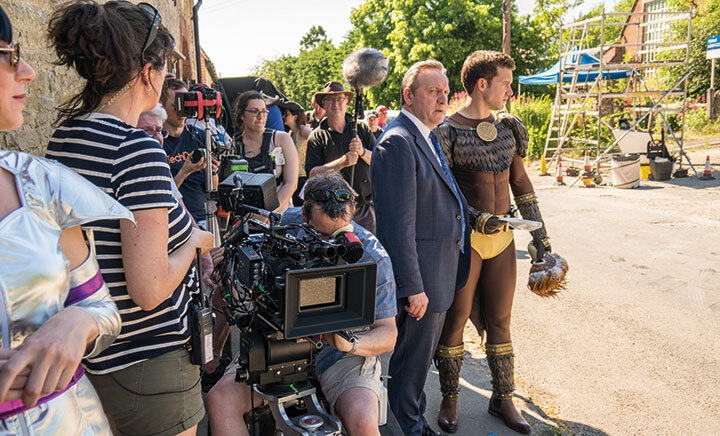 In a complex market where drama is expensive, broadcasters have to balance the needs of the UK audience along with the potential of coproduction deals to serve a global market and reach international viewers. There is no doubt that it is a demanding landscape to cut through and get that first original commission. However, the UK has an incredibly engaged industry, where producers and commissioners recognise that television is a writer’s medium. They are interested in the next generation of talent and want to find ways to support, nurture and mentor writers who can gain experience from open competitions and targeted shadow schemes offering training and commissions on the big returning shows. You have to think what best suits you, look at the kind of stories and worlds you want to create and see whether you are the right fit. Many of our most exciting writers have written across platforms, for the theatre, radio and film, alongside their TV output. You only have to look at the likes of Mike Bartlett (Doctor Foster) and Jack Thorne (Kiri, pictured top), both of whom I gave first radio commissions to. Don’t pigeon-hole your talent or your ideas too early on, as online and social media have opened up a whole new arena of potential digital platforms for new drama. Red Planet Pictures’ Red Planet Prize is a great example of how new talent can be uncovered by commissioners and producers. 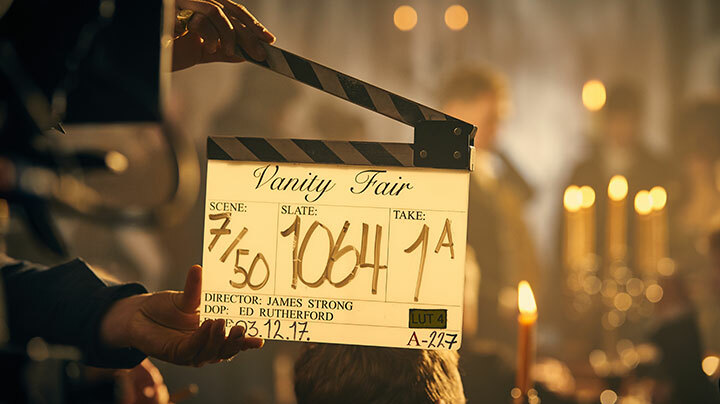 Launched in 2007, the prize is searching for emerging writing talent who can create fresh and inspiring popular drama content, and this year is being held in partnership with ITV Drama for the first time. The prize offers shortlisted writers a unique, ‘money can’t buy’ invitation to take part in a masterclass, giving finalists the opportunity to network with established television writer Tony Jordan (Life on Mars, Hustle, Dickensian) and ITV commissioners Polly Hill and Victoria Fea, who, along with actor Adrian Lester (Trauma, Spooks), make up the judging panel. 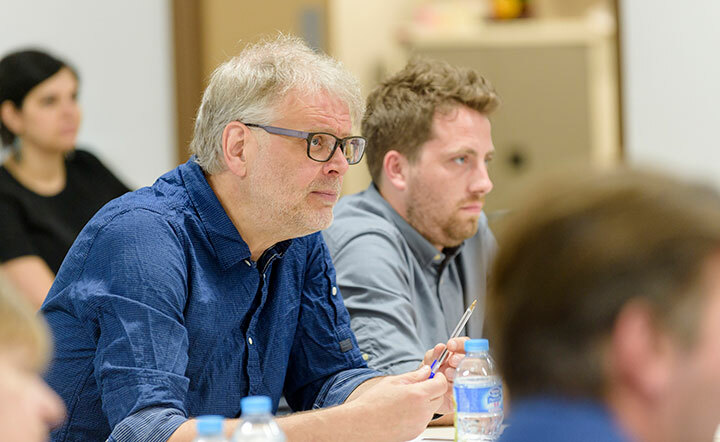 Along with key executives and script editors from both Red Planet and ITV, the shortlisted writers will have time to hone their pitch and develop the series potential of their idea. 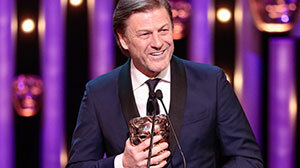 The winner will get a script commission and development opportunities with ITV. 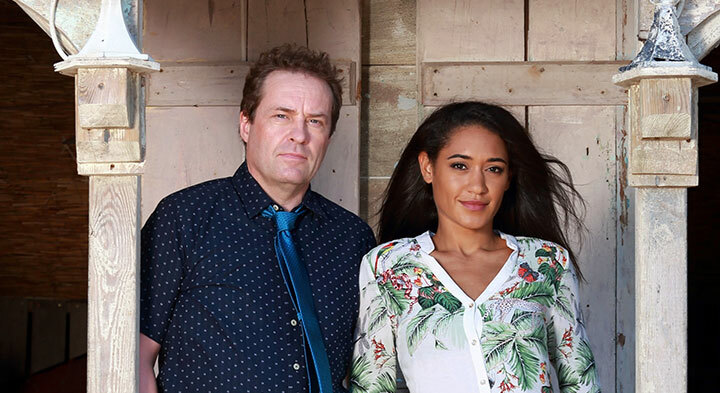 Previous finalist Robert Thorogood created the BBC1 smash-hit series Death in Paradise, now starring Ardal O’Hanlan and produced by Red Planet Pictures, which is currently airing its seventh season and has been recommissioned for an eighth run next year. 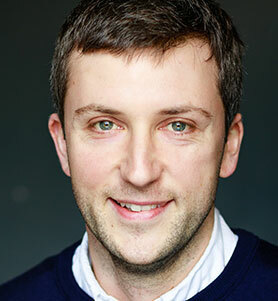 Last year’s winner Tom Nash is developing his winning series, Percentages, and has been commissioned to write on the eighth season of Death in Paradise – his first professional engagement. 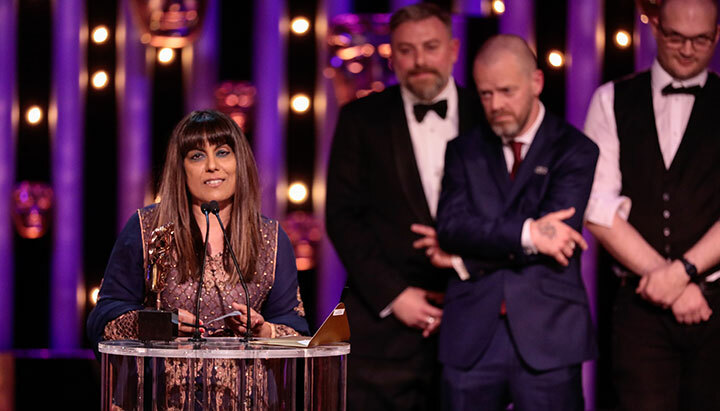 Alongside The Red Planet Prize, I recommend that writers keep across the different opportunities on offer in the UK from the BBC, Channel 4 and Sky, as well as those promoted by independent companies. Recently Sister Pictures and Kudos North both hosted new schemes. Professional bodies such as Creative Skillset and the British Film Institute are also a great place to look for advice and inspiration. These tailored schemes bring work to the experts where development is tailored to the needs and wants of that organisation. There is no better place than BBC Writersroom to find out about the creative business of being a writer. Over the years, I have read thousands of scripts and I am acutely aware when someone has that indefinable thing called talent. But how that then translates into a commission is more complex. Personal taste also plays a part and affects the way your script is received. It might be well written but lack originality, compelling narrative or a big idea that makes the story complex and rich. Can the idea sustain more than one episode? Is it distinctive enough to engage an audience? Will anyone care? There are always several questions that need to be answered, firstly by you, the writer, about what drives your characters and their story, and then by the reader. Be aware of the innovations happening on the digital platforms. Remember, content is king so think carefully about where your drama starts its journey and how you can develop it from there. Never underestimate the importance of a great calling card script – that’s what grabs the attention. Once people are interested in you, you can pitch them your killer idea. Be passionate and be thoughtful. Write what you want to see and have more than one good idea. Submissions for Red Planet Prize 2018 are being welcomed until Monday, February 12 2018 via the Red Planet Pictures website. The winner will be announced in summer 2018.